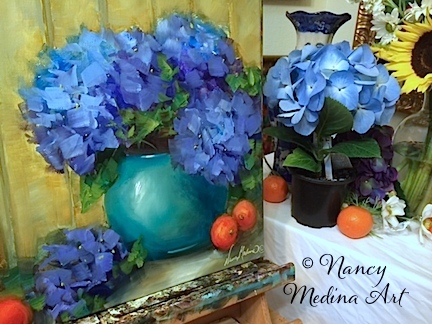 Oasis Blue Hydrangeas is the daily newbie in Flower Mound Studio. It was a hot one in North Texas today, so the pugs and I spent quite a bit of time indoors out of the blazing sun. 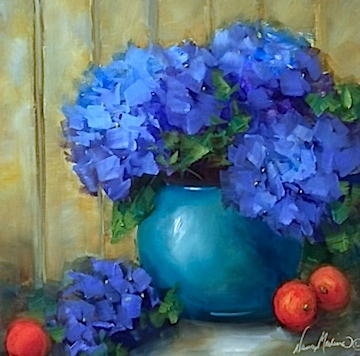 I started the day with my first big delivery to the post office this morning, shipping my Blue Lace Hydrangeas DVD to Australia, Alabama, Wisconsin, Oregon, Illinois, Georgia, Washington, West Virginia, Texas, Kentucky, California, Louisiana, Tennessee, Mississippi, Ohio, and several other states throughout the US. The postman raised his eyebrows when the receipt printed out and remarked, Business is Good! 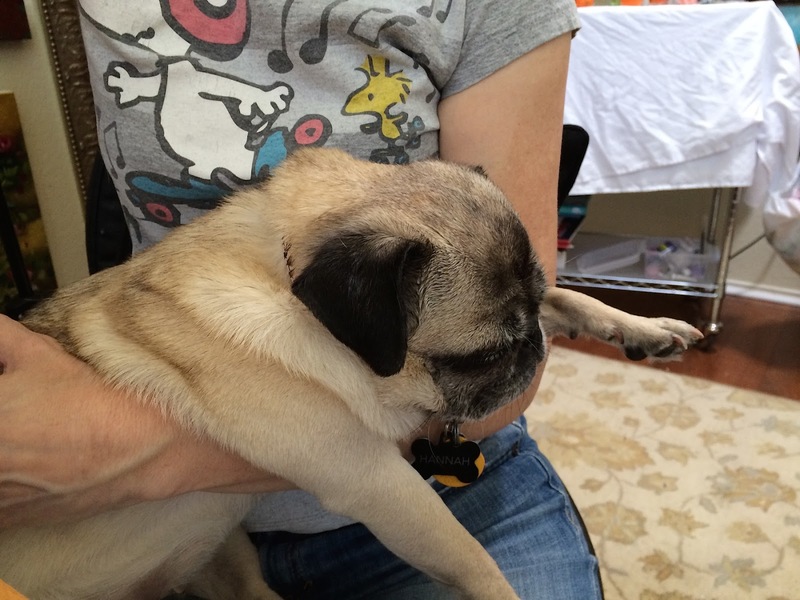 After my return from errands, foster pug Hannah decided on a siesta in Mom's arms. A half hour later, I realized if action wasn't taken, she would sleep there all day! I reluctantly placed my sleepyhead on top of the pile of snoring pugs nearby, where she immediately fell right back to sleep. Oh to live in a house where every pillow and every lap is an oasis, it's a Pug Life!